Located just 5 minutes by car from Yogyakarta airport, Androwino Bistro can be found on the 7TH floor of the Sheraton Mustika Yogyakarta Resort & Spa. 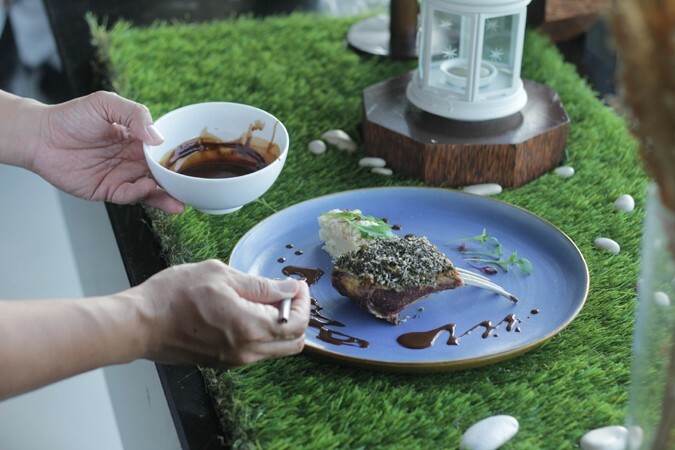 Guests are offered a selection of dishes created with a delicious fusion of contemporary authentic Javanese flavours alongside western favourites from sliders to lamb chops. 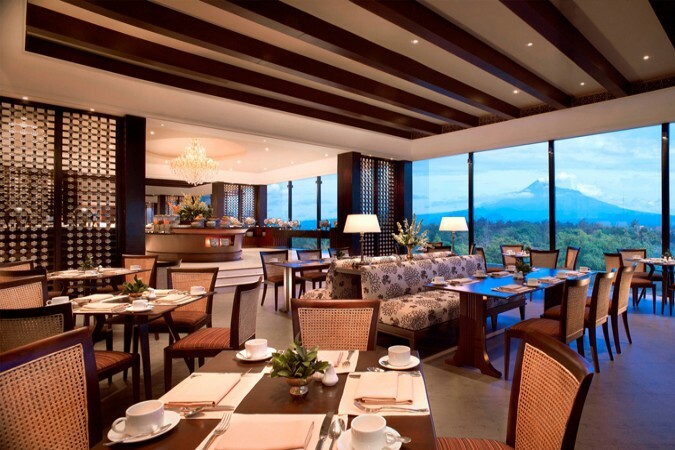 The spacious contemporary interior and décor, the oozing natural light and the delightful accented antiques set the ambience, but it’s the view over Mount Merapi in the near distance that caps off an impressive dining experience. 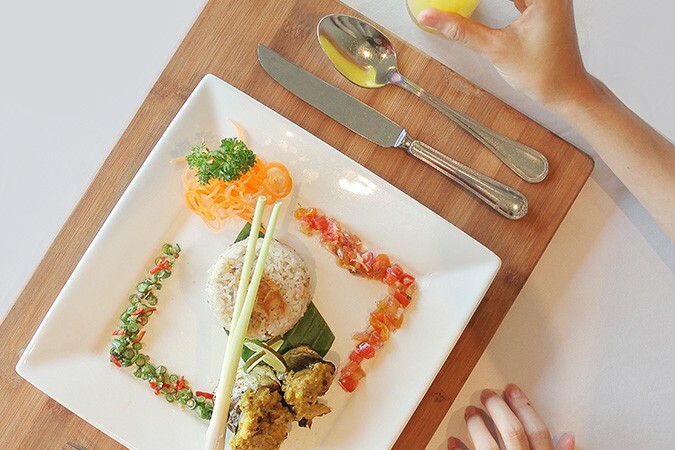 If the food is superb then the view is sublime and, with floor to ceiling glass windows, diners can sit and gaze at the view and contemplate the immense natural beauty of Java and the volcano which dominates the horizon.